The following pre-conference events were held on Wednesday, 26 April 2017 prior to the official Conference opening at 4pm. In this fun and relaxed workshop, you will explore latest information on drumming; you will learn the fundamentals of playing a drum, sounds of a drum, hand positions, posture and techniques. You will learn drumming games, active listening techniques and focussed attention. The workshop will culminate in a group drumming rhythm. In making work for the theatre, process is everything. This workshop turns the spotlight on theatre's toolbox, employing a director's bag of tricks to investigate the social mechanisms in play when building work for the stage. Engagement, inclusion, connection and focus form the backdrop of personal transformation when a strength-based approach is taken to collective, collaborative creative endeavour. The social determinate of self-belief can truly be accessed from here. Rural and remote workforce sustainability, is it possible? Join us for a Q&A style panel discussion on the particular challenges and potential opportunities for nurses and midwives working in rural and remote areas. Facilitated by workshop sponsor, James Cook University, the panel will comprise the nursing and midwifery representatives of the hosting organisations who are Council members of the National Rural Health Alliance. These nurses and midwives will provide participants with their perspectives on critical workforce issues and give you the opportunity to raise your concerns for discussion and generate solutions for workforce sustainability. Come along and grab this chance to contribute to recommendations for action to be raised at the National Rural Health Conference to follow. The Otitis Media and Aural Health Care Program is designed to develop the knowledge and skills required for Professionals working in Indigenous health to safely assess the aural health of individuals and implement best practice management guidelines. Document the examination findings and outcome in the patient’s history. Targeting rural health clinicians: GPs, pharmacists and nurses. Limited to 50 participants with a preference for rural health clinicians from Queensland. Acute presentations of infection are one of the most common problems that rural generalists deal with. Severe sepsis claims more lives than acute coronary syndromes in Australia. Data suggests that delay of appropriate treatment, by even a few hours has a major negative impact on outcomes of severe sepsis. Balancing this, the overuse and misuse of antibiotics is the key driver of the emergence of antimicrobial resistance – a problem that is becoming more and more serious as front-line antibiotics stop being able to treat common infections. The “Infections in Rural and Remote Australia” interactive workshop will give you a contemporary practice update delivered by experts in Australian community-acquired infection. This workshop is run by Roland Naufal, Director of Disability Services Consulting (DSC), Australia’s leading NDIS consulting group who have been involved in the NDIS since its design phase, see www.disabilityservicesconsulting.com.au Thousands of people all over Australia have attended DSC, NDIS workshops that have a reputation for being frank, fun and future facing. 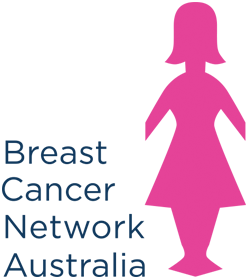 Breast Cancer Network Australia (BCNA) is the peak national organisation for Australians affected by breast cancer. Hear about the medical, physical and emotional aspects of living with a breast cancer diagnosis from leading health professionals. Learn from people diagnosed with breast cancer as they share their experiences and the issues they face. These personal stories help shape BCNA’s advocacy agenda while we represent our members at a state and national level. Be inspired by BCNA Ambassador, Olympian and breast cancer survivor, Raelene Boyle, who will talk about her personal journey with breast cancer. This information forum is for people diagnosed with breast cancer, their support people, health professionals and delegates attending the rural health conference.Lunch is provided. There will be information displays from a number of organisations and groups supporting people with breast cancer. It is essential that health professionals are clinically competent, culturally safe and responsive to positively affect the health and wellbeing of Aboriginal and Torres Strait Islander people. Indigenous Allied Health Australia, the Congress of Aboriginal and Torres Strait Islander Nurses and Midwives, the Australian Indigenous Doctors Association and the National Aboriginal and Torres Strait Islander Health Workers Association are pleased to provide participants with an opportunity, in a safe environment, to engage in self-reflection and practical activities that will enhance their ability to take culturally safe and responsive action. This workshop is for all rural and/or remote health professionals interested in providing culturally safe and responsive care with Aboriginal and Torres Strait Islander people. With an incidence of 1 in 5 and life time prevalence of around 80%, chronic pain is a major health issue. It is the major contributor to disability, costing our economy many tens of billions of dollars. Biomedical treatments such as surgery and medications are often inadequate once pain has become chronic. There are however a range of evidence based, multi-disciplinary treatments that can be effective in improving the function and quality of life of people with chronic pain. The neuroplasticity of pain - how does chronic pain develop and what can be done to reverse these changes? How to assess and manage, with reference to common chronic pain conditions? What are the effective, evidence based allied health approaches? The facilitators are the multi-disciplinary team from the North Queensland Persistent Pain Management Service (NQPPMS). The NQPPMS is a registered RACGP QI&CPD training provider, and points have been applied for.